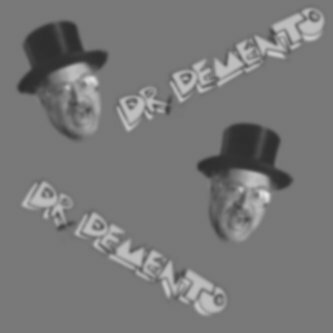 The Dr. Demento Show is a radio program filled with funny music and comedy. 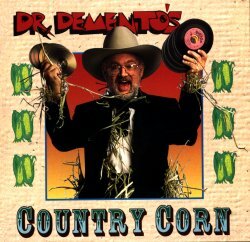 Dr. Demento is a legendary figure in the Radio Hall of Fame, and continues his legacy today on the internet with a new episode every Saturday! He discovered artists from Weird Al to Luke Ski, songs from Fish Heads to Dead Puppies, comedy sketches from Boot to the Head to Dungeons & Dragons, and repopularized such legendary artists as Spike Jones, Tom Lehrer, Allan Sherman, & Stan Freberg. Episodes focus on diverse subjects: history, Star Trek, food, sports, weather, holidays, and anything you can imagine! Listen one week at a time or become a monthly or yearly member. Stream the Doc's shows from last week all the way back to 1970! Five decades and thousands of hours of streams! Show date: Apr 13, 2019 Click here to listen. ALCOHOL II 1915: Here's the promised sequel to our March 9 festival of funny drinking songs. Plenty of hilarity, even if you don't imbibe! Tattoos and tomatoes too (and a few naughty words). What's coming up next? Click here to hear about it. Demento Online Club members login here! Buy honest to goodness physical products! Here you'll find CD's, books, cassettes, bumper stickers, newsletters, and other paraphernalia. Submit your requests for the Doc's next episode here. Discuss the Doc's show with other fans. Songs, favorite moments, requests, trivia contests,and more! See if the Doc is coming to your town! Occasional official announcements from the Doc or his helpers will be posted here. The Doc's archivist and historian maintains his own site with a searchable database of playlists throughout the years. This database is officially approved, but not directly affiliated with the Doc's own site.